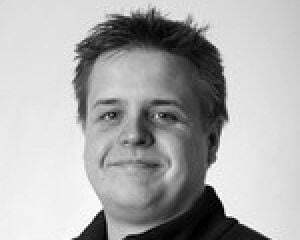 It’s hard to talk about Star Control: Origins without talking about Star Control 2. SC2 is a game extremely near and dear to me. I originally played it on the Panasonic 3DO, that system nobody owned that cost an arm and a leg, where it had full voice acting. 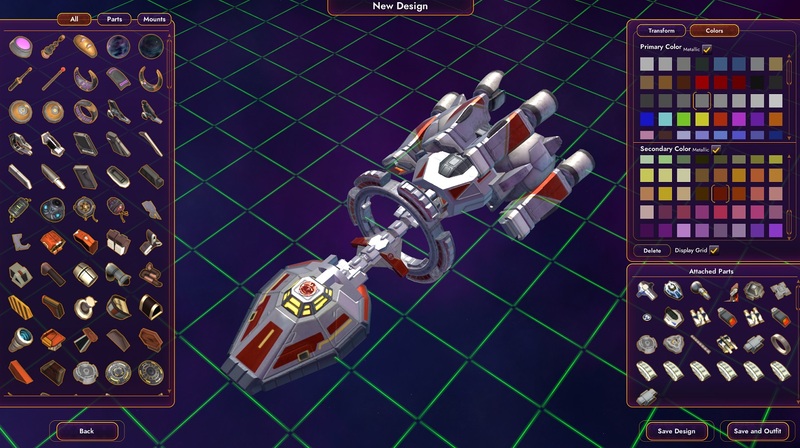 Star Control: Origins, much like SC2, is a space adventure game similar to Starflight. You explore an open galaxy, plunder resources from planets, and spend a lot of time conversing with and fighting other alien races. For its time, it was insanely innovative. Today, large-scale open-world RPGs are the norm, but in the early nineties, it was very impressive. Star Control: Origins is the first game in the series since the maligned Star Control 3, and its roots are deeply grounded within the mechanics of Star Control 2. 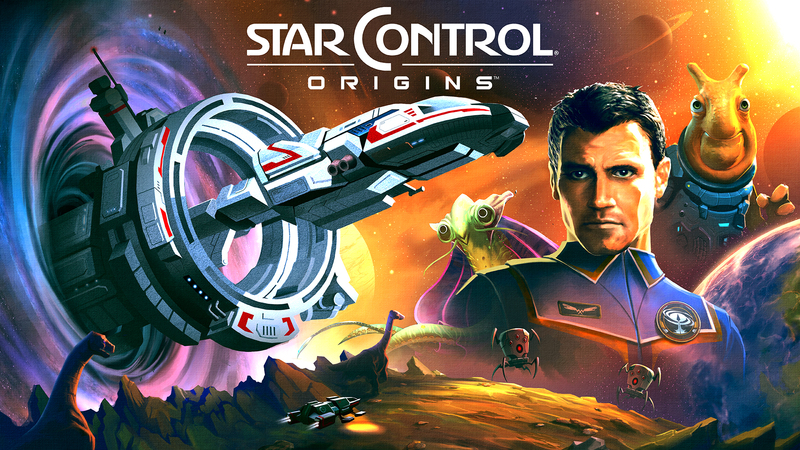 Because it is developed by Stardock, and the original creators of Star Control have nothing to do with it, basically none of the story elements, alien races, or ships have made the transition. And really, the biggest appeal apart from the openness of SC2 were its narrative elements -- it told a giant story filled with mystery and humor, and was oozing with personality. I was nervous going into this one. I owned the original Star Control on the Sega Genesis. I pre-ordered the eventually cancelled StarCon for the PlayStation. 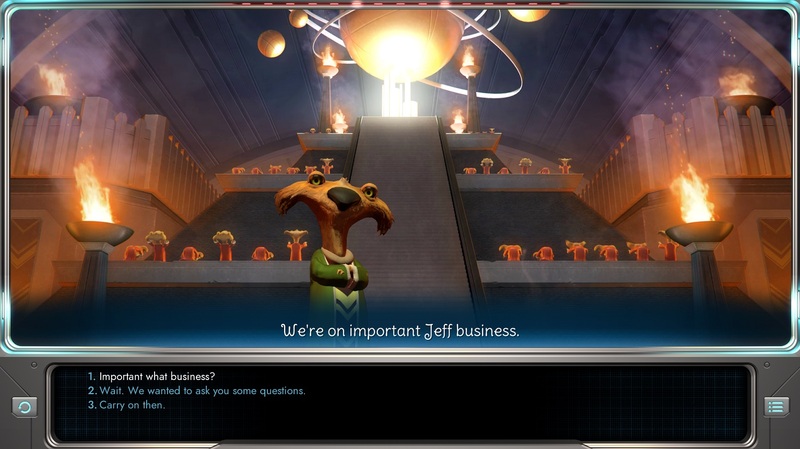 I suffered through Star Control 3 and its abysmal puppet characters. And time and time again, I have gone back to Star Control 2 on PC in its current form, the excellent source port The Ur-Quan Masters, which remastered the game and brought to it the voice acting and remixes of the 3DO version. It is one of my favorite games of all time, and I was fully prepared to be disappointed by Star Control: Origins. But I wasn’t. Thank God for that. Star Control: Origins starts out in similar fashion to SC2, and this is intentional. 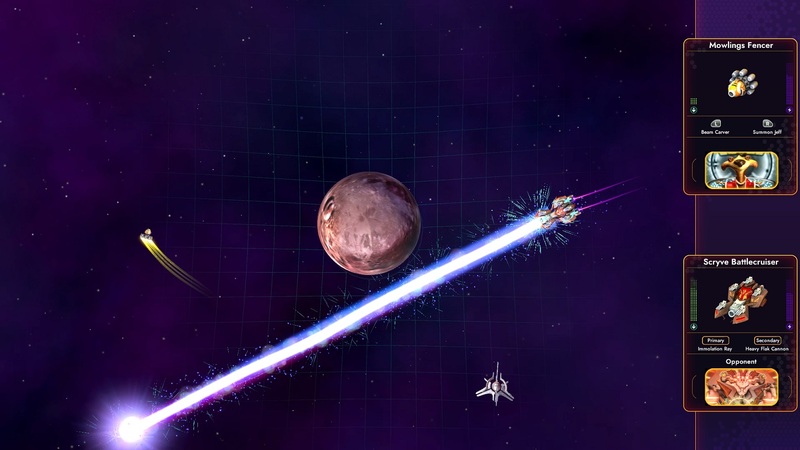 Since it has been over twenty years since a proper Star Control game, it initially acts as something of a soft reboot, pushing players gently into the gameplay by allowing them to explore the solar system. Everything takes place in a bird’s eye view, with players navigating their Vindicator ship manually through space. You can scan planets and decide if you want to send a lander down to them simply by bumping your nose against them. When planets are close together, sometimes this can be finicky, and until you upgrade your ship a bit, is also generally quite slow. But initially you are to explore Sol at your leisure, and before long, will run into your first alien race. All 130 square light years of hyperspace, hundreds of systems, and thousands of planets will open up to you. The story of Star Control: Origins sets it around the same time in history as the backstory to SC2, but none of that matters here -- it is for all intents and purposes hinted that it takes place in a sort of alternate universe. Humanity reached a point of technological singularity, and these enlightened humans called Lexites went off to explore the galaxy, and were not heard from again. Our presence was made known to an aggressive, immortal alien race called the Scryve, the primary villains in the story, who have made it their agenda to find our system and wipe us out of existence, along with any other alien race that could potentially threaten them. The big mission here and the crux of the story is to prevent the destruction of humanity by befriending other alien races and forming a powerful alliance, but there are plenty of interesting turns along the way, especially as things wrap up. Considering Star Control has always been somewhat modeled after pulp sci-fi, this melodrama is fine and dandy, but the real appeal is the smaller interactions with the many interesting alien races you meet along the way. The Tywom, like the Spathi of SC2, are the first race you run into. They are nervous, awkward, cowardly, but have a competent ship you can add to your fleet and provide you with humanity's first hyperdrive. From there, the comparison between the races of Origins and SC2 becomes far less easy to make, and I was thankful for that. These are not generic humanoids you are dealing with most of the time but real alien aliens. From the adorable puppy-like Mowlings to a contagious virus that liquefies multi-cellular lifeforms upon contact, what you get here is the weirdest of the weird. The designs are mostly excellent apart from one or two weaker entries to the roster, which SC2 also contained to be fair. The real star here is the dialogue. Star Control 2 was lighthearted with many heavy, dark elements in its heart, and Star Control: Origins prefers to stick with the lighter side of things more often than not. The Scryve are not quite as intimidating as the Ur-Quan ever were, but I found there to be more laugh-aloud moments in the game than I was expecting. Some races exist seemingly to be intentionally annoying or vapid at first, but most of them are more interesting than what is initially presented if you dig into their quest lines far enough. The writing is superbly silly, the voice acting excellent for the most part, and this is where the charm resides in the game for me, and what made me want to keep playing. It seems strange to talk about gameplay last in my review, but the story really is on the forefront; this is an adventure game with combat and exploration mechanics meant to make you feel like you are on the bridge of a starship. Of course, your interactions with the aliens of Origins will ultimately lead you to take on many quests for them, which usually involve exploring a specific system to find a planet with some goodies they are looking for, or to resolve some difference between races, so there is always plenty to do besides chatting it up with the locals. The weakest part of Star Control: Origins is planet exploration. It’s a mini-game in place for the player to collect resource units, the currency of the game, and to find quest triggers, equipment, and salvageable ships to be added to the player's fleet. As an SC2 veteran, I was no stranger to it, as it was an issue there too, so it didn't really bug me. But eventually, you will just want to get on with it, which can be tough if you are constantly running out of fuel (precious, precious fuel) or keep getting your fleet ships blown up in random encounters with pirates, Scryve, or whoever else might be wanting to kill you at that particular moment. Luckily, quests provide a major source of income, so if you are not keen on planet hopping, focusing on the story and side quests will alleviate that greatly. That brings us to combat, which is a joy. It’s essentially an upgrade to Space War, pitting you in one-on-one combat in a circular arena where inertia is both your friend and your enemy. With obstacles like asteroids and planets creating massive gravity wells, you can swing yourself around an object to pick up speed, or even catch a wormhole ride across the map to avoid an encroaching enemy. The many unique ships you will both control and fight against add a lot of variety to the combat, and if you are a risk-taker, you can even use your own fleet ship in combat, which will mean a game over if you lose. New to Origins are power-ups that can be picked up to buff energy regeneration, speed, and max crew (health) which adds a bit of randomness to the fight, and can even the scales a bit for the losing side if they are diligent in collecting these buffs. You can also take the fun online or, as is my preference, in local battle. Since everything is top down and takes place on one screen, two-player couch gameplay is an option. You get a set amount of points, construct your own fleet of ships, and go to town. In the main game you will have unique encounters with pirates, bosses, and other ships made with the ship creator tool which you also have access too. And like in Stardock’s other games, it is comprehensive and you can build practically anything with it. Some things are not in place just yet, like the quest and map creation tools Stardock is working on. But the main campaign, if you really rush, is about 20 hours long. There are tons of side quests you can go on, and it’s a pretty big galaxy waiting to be explored. There are some hefty nods to Star Control 2 here, especially within the excellent soundtrack, which contains a few subtle and more direct musical cues and remixes that will be very familiar to fans. Star Control: Origins was an absolute joy for me. Its story and characters were utterly charming and unique. Its combat is a ton of fun. Exploring the galaxy and trekking along the surface of planets, while not much of a challenge once your lander is fully upgraded, does get tedious, but once you are picking up valuable elements and leaving the less rewarding materials behind, it becomes less necessary. Stardock did an extraordinary job reviving a long-dead series, and I am excited to see how the game is updated going forward, and what potential there could be in further expanding its wonderful universe.